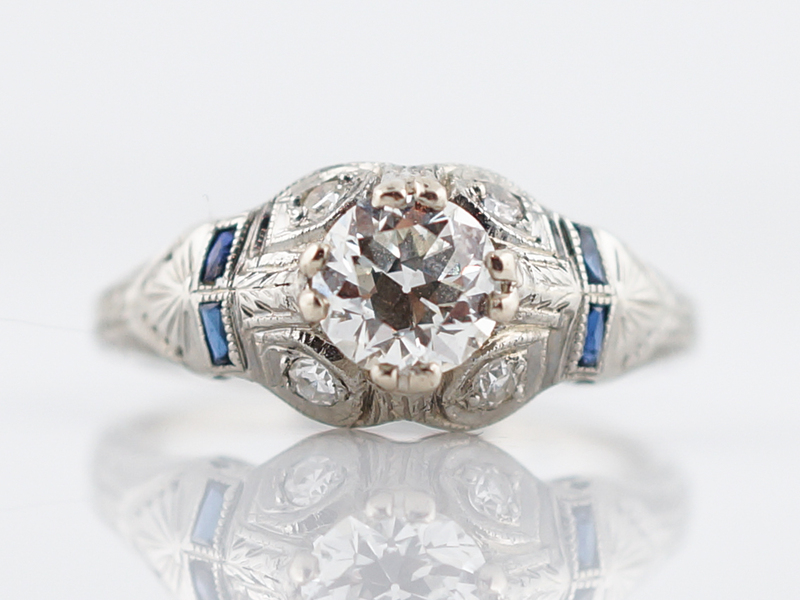 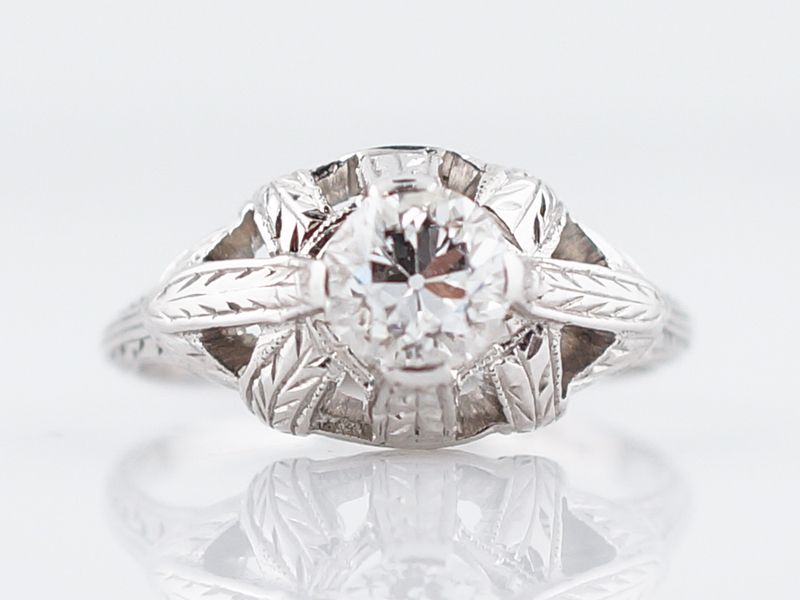 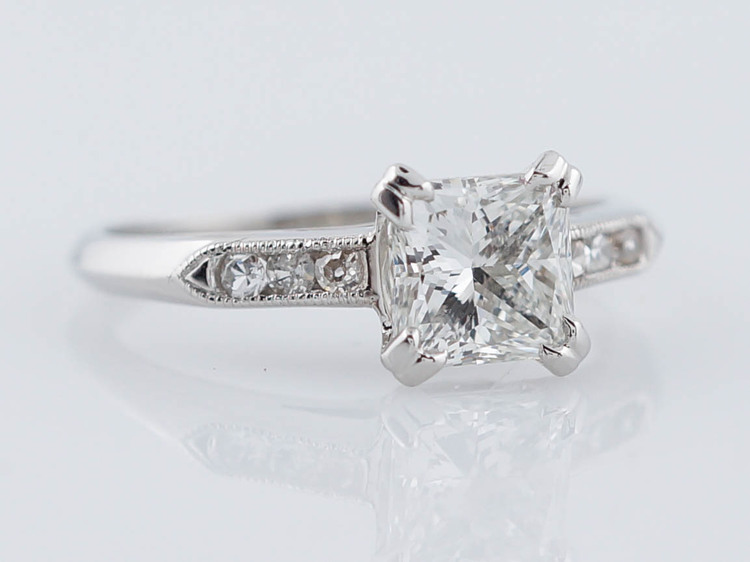 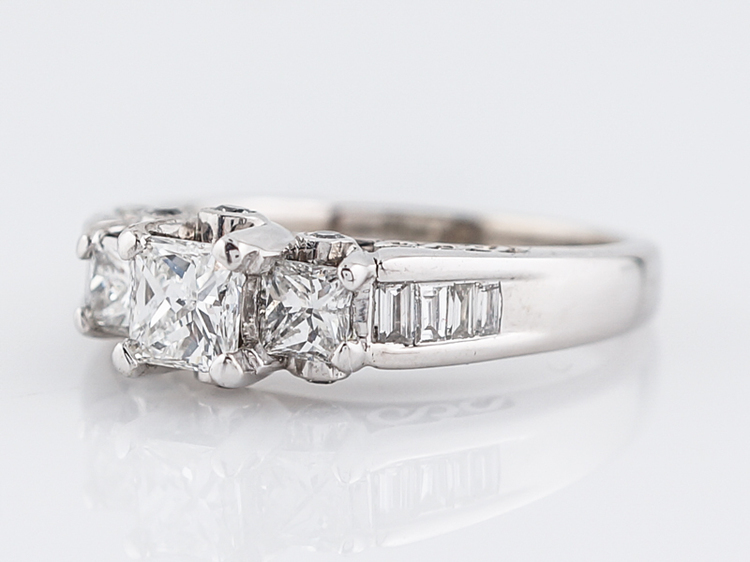 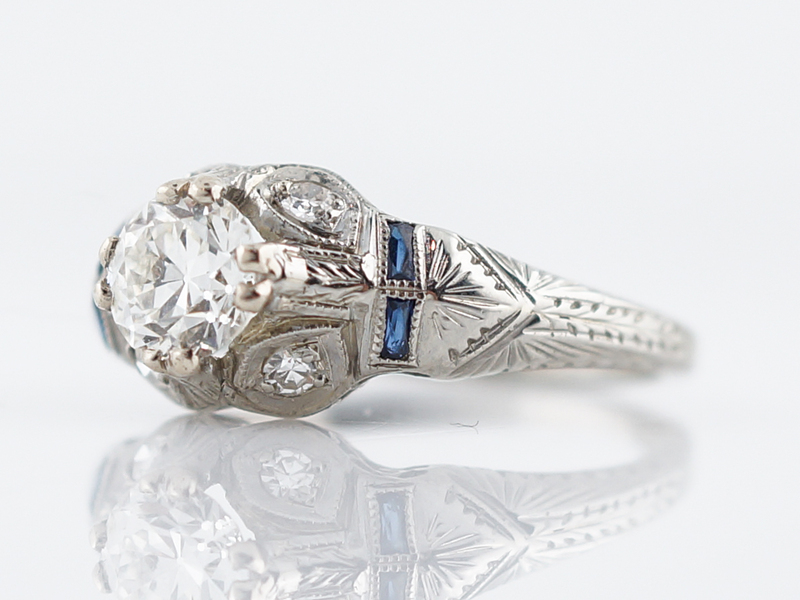 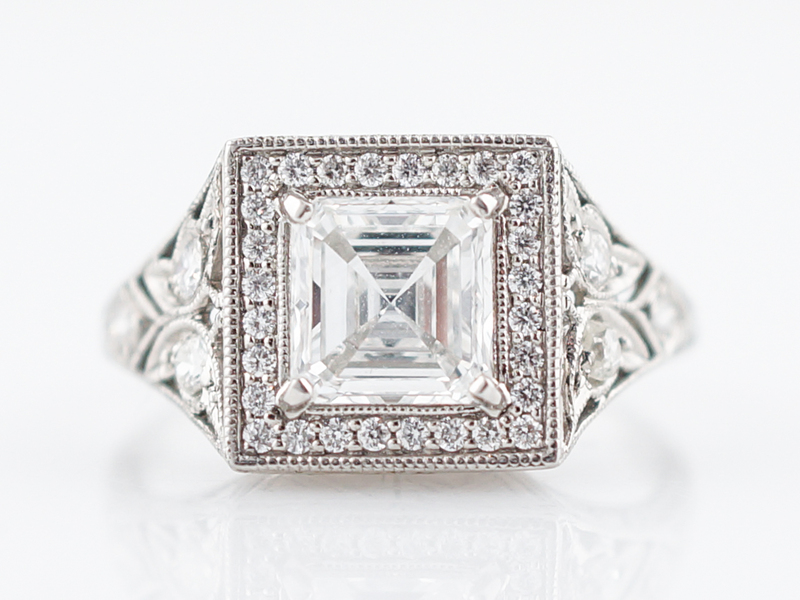 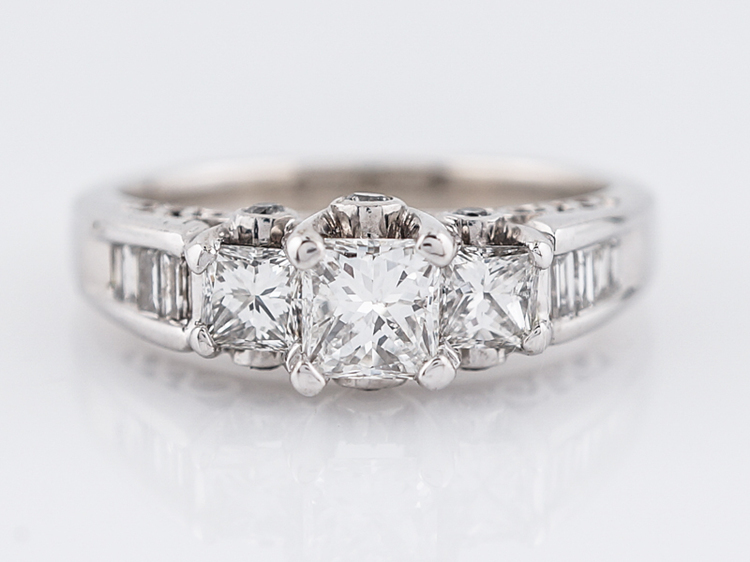 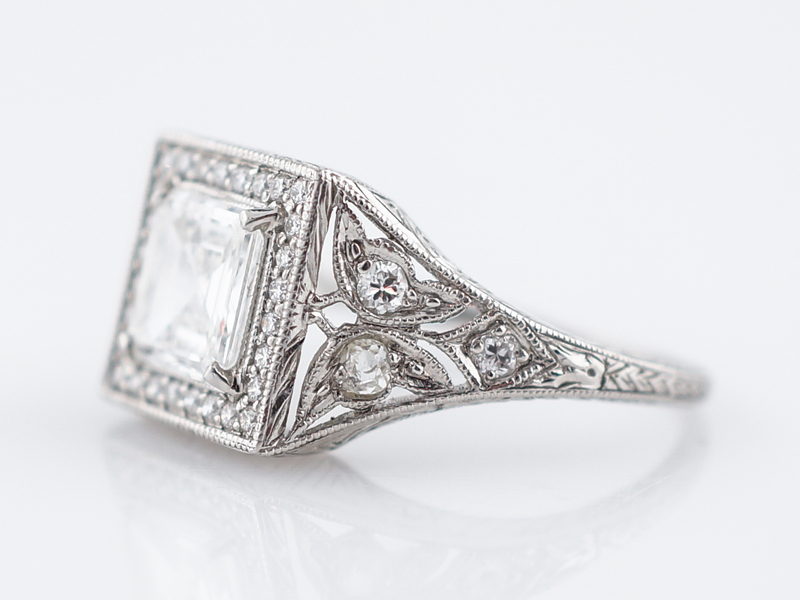 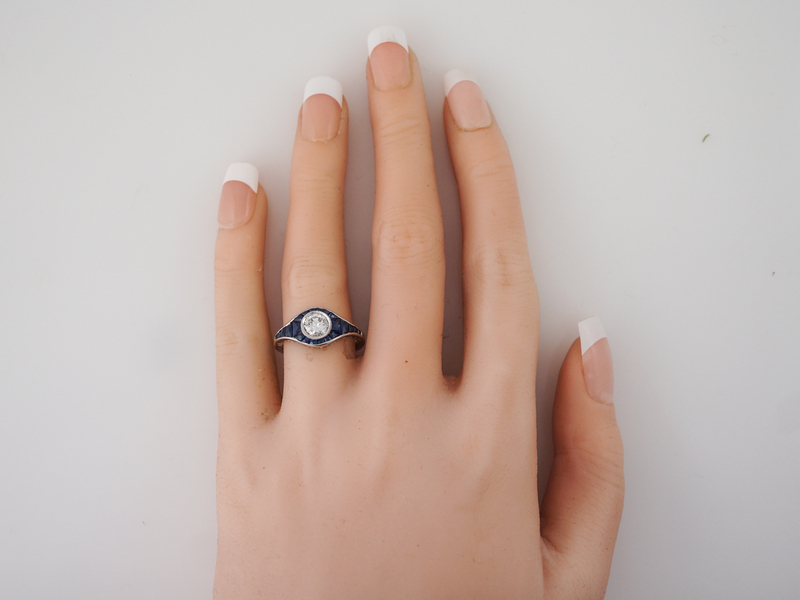 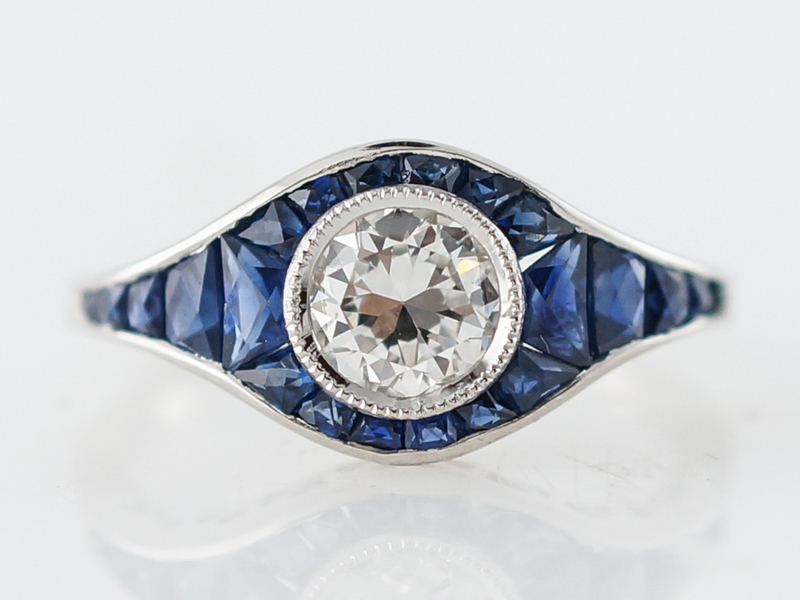 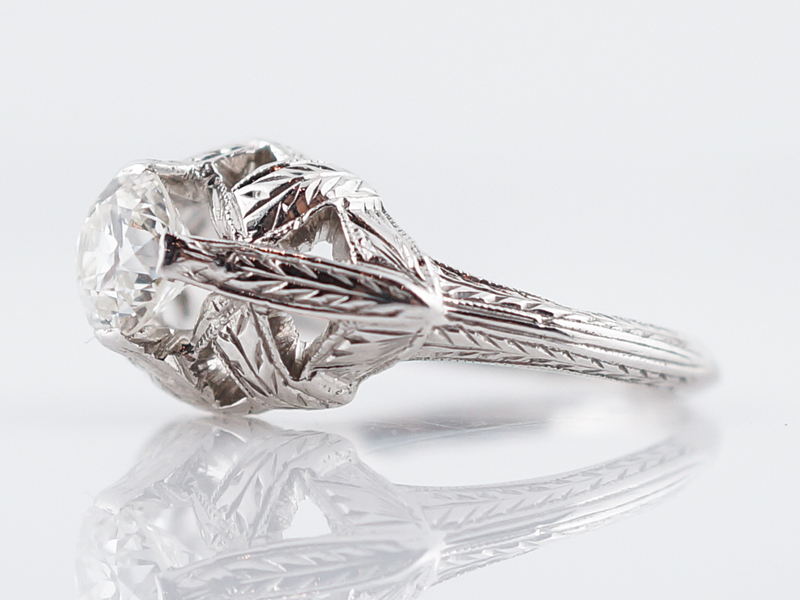 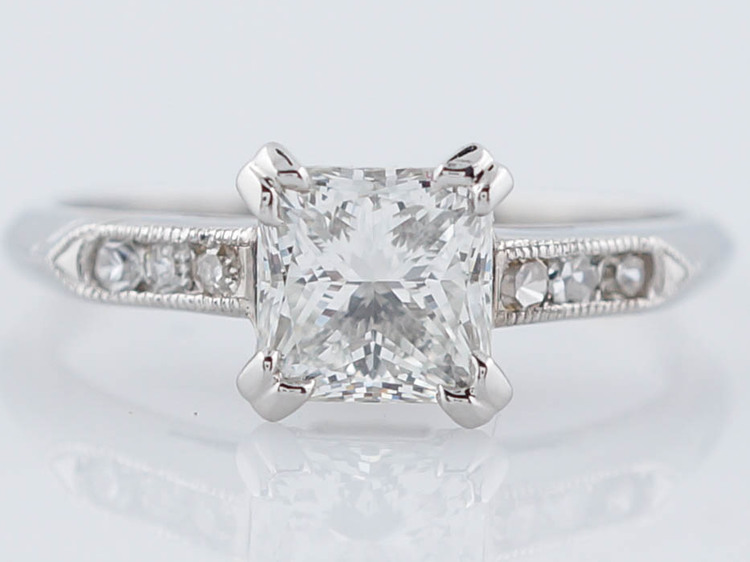 This is a very unique, modern engagement ring unlike any other in our collection. 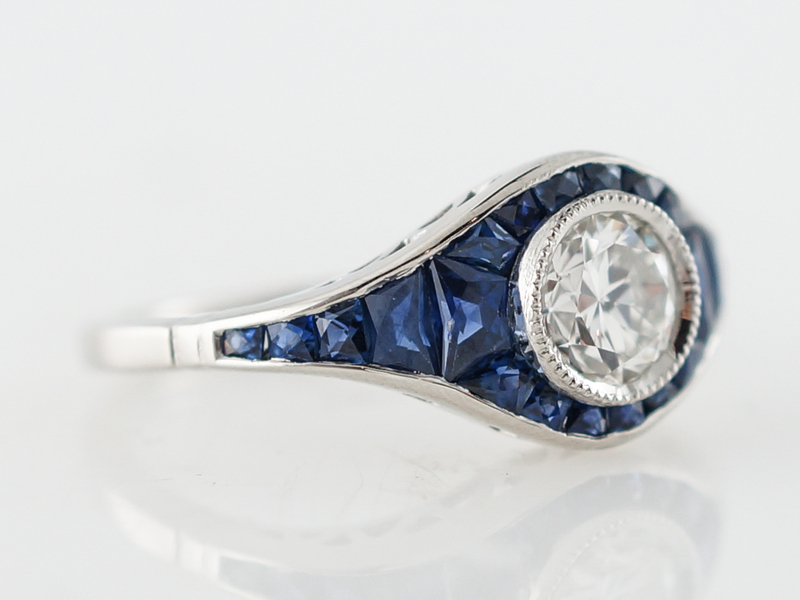 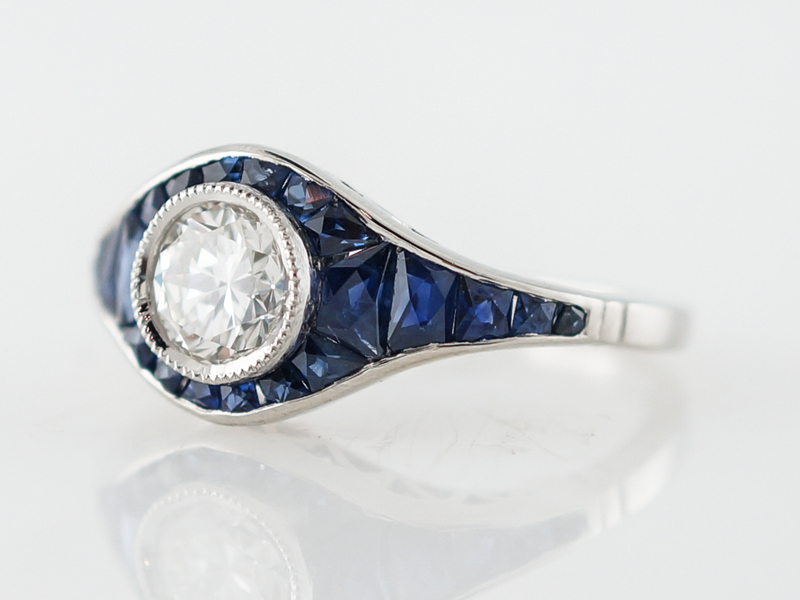 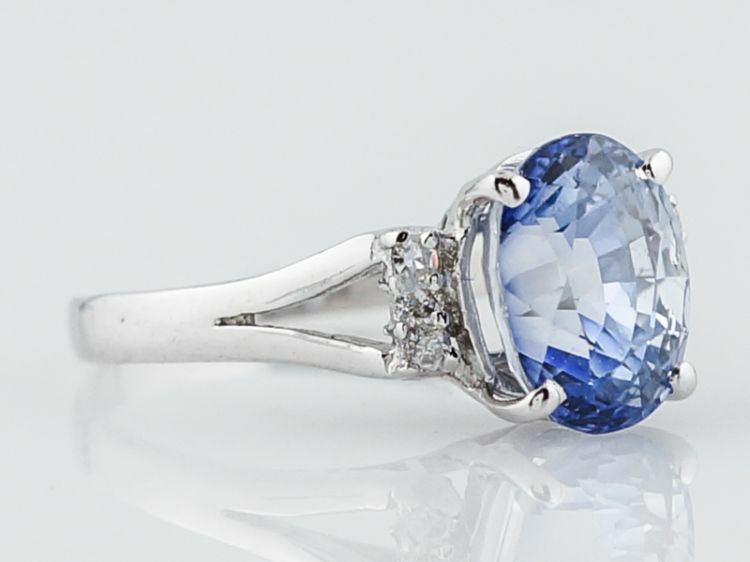 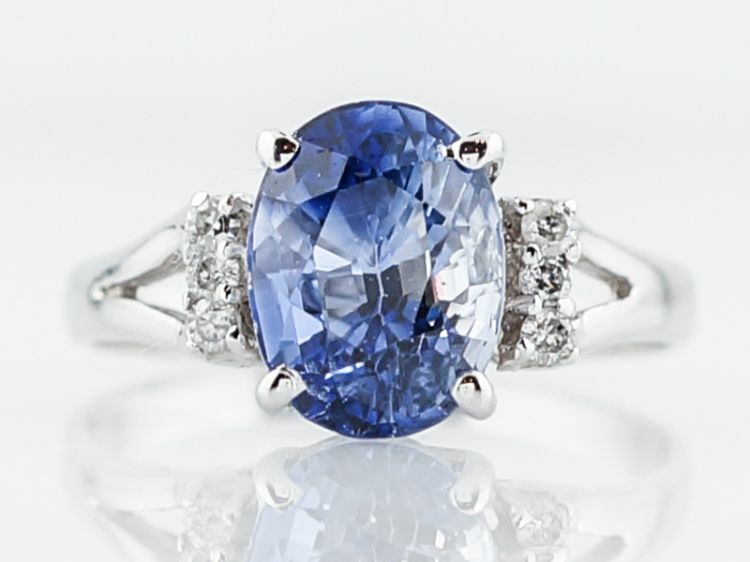 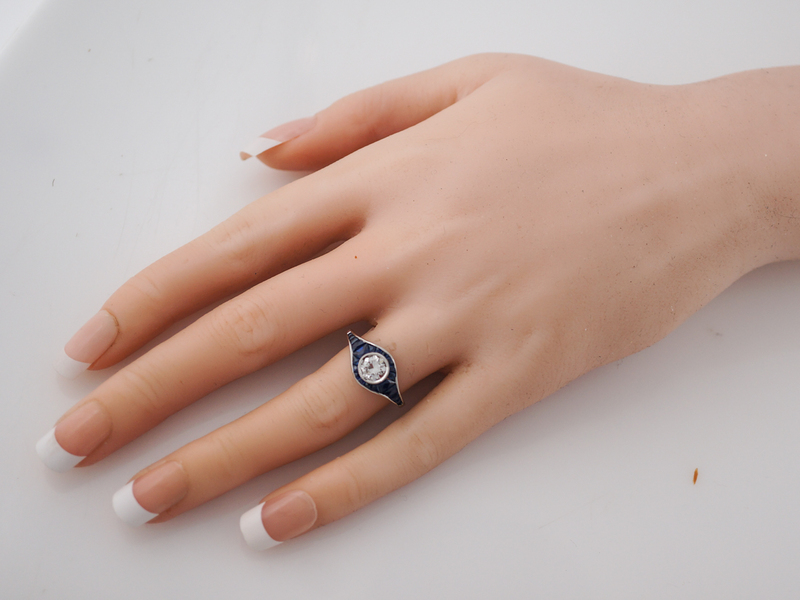 The tailored cuts and bold contrast of the sapphires against the .63 carat old european cut diamond is sharp and clean. 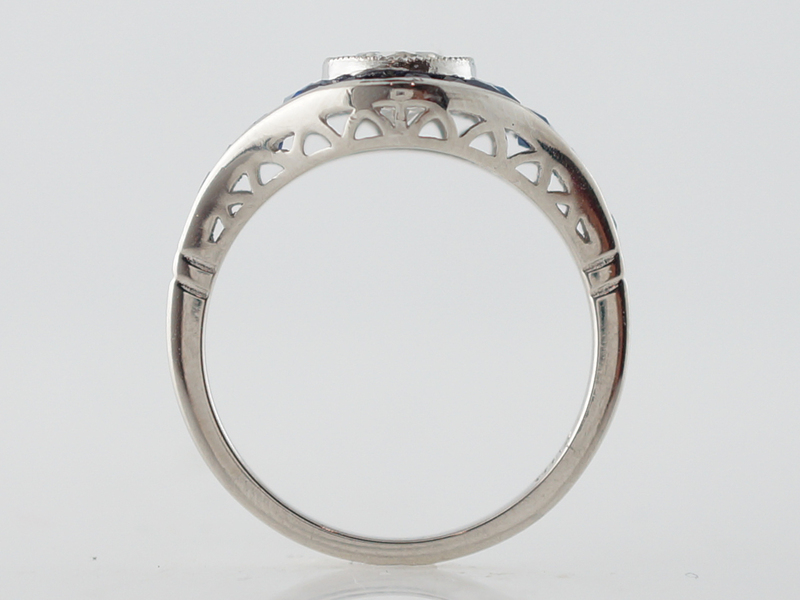 Composed of platinum, the bezel setting highlights the graphic quality of the overall design. 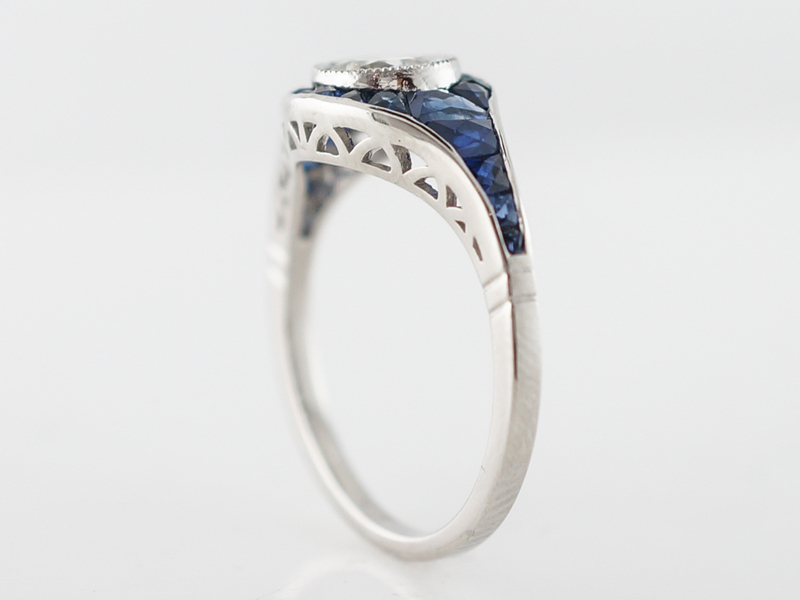 A gorgeous example of our custom design work!